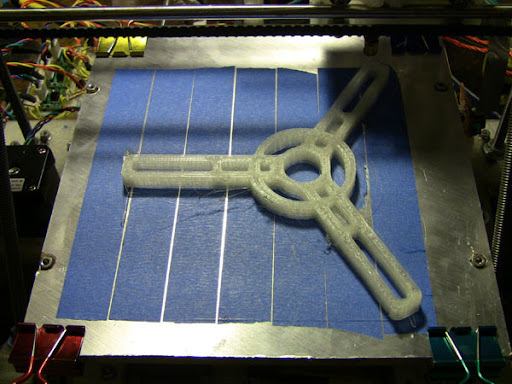 Now that my extruder is consistent I decided to focus on a filament spool for the Mendel. 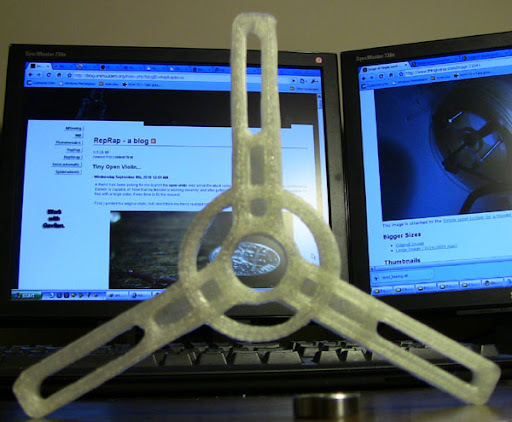 Thankfully, thingiverse users already designed a mendel spool, so I just had to print it. This is the biggest part I've printed yet. It took most of my Mendel bed. 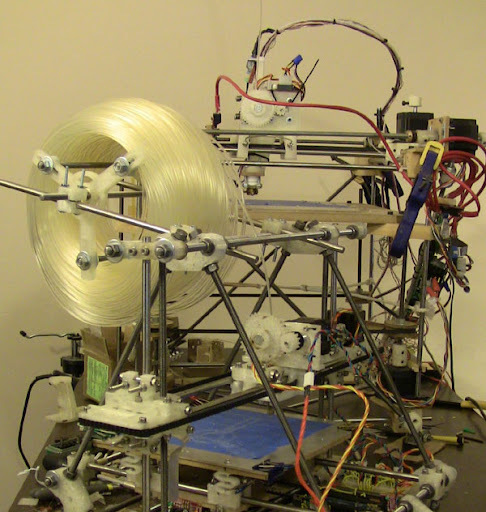 With a consistent extruder and a filament spool I really want to try a time intensive, full bed, print. First, I need to play with Skienforge a bit more to increase the quality of my print.